Hi friends! Hope your day is going well. 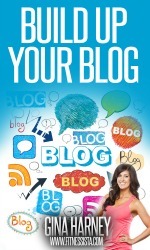 It’s raining down fitness posts on the blog tonight. 😉 I want to make sure you have everything you need to hit tomorrow’s workouts strong! 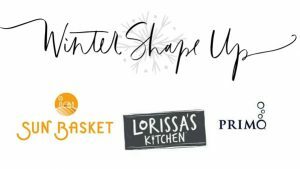 For the full Winter Shape Up calendar + all the details, check out this post. 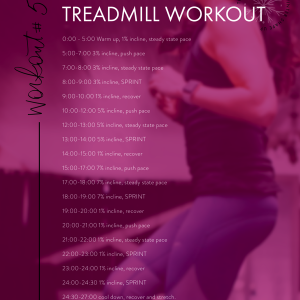 Workout #4 is an Upper Body BURNER. Seriously, our arms were on fire while we were filming!! Keep a lighter set of weights nearby just in case you need to switch them out at any point, and you can also ditch your weights if you need to. Complete the following moves in a circuit, moving quickly from one exercise to the next. When you finish the circuit, repeat up to 2 more times for up to 3 total times through. Snatches x 10 each: Hold a dumbbell front of you. Stand with legs shoulder-width apart and lower to squat, keep your chest lifted and knees behind toes. Exhale and push to standing, lifting the dumbbell with a straight arm. Lower the weight down the same way it came up. The goal is to keep the weight close to your body the entire time, and use your breath and glute power to power the dumbbell up; not just your shoulder. Wide row to narrow row x 10 each: Your feet will be just under your hips with a slight bend at the knees. Hinge forward from your hips, keeping your back flat (shoulders pulled back) and core braced. Lifting up from your elbows, bring them high and wide, engaging into your rear delts. Stop the elbows at shoulder height before carefully lowering back down. For the narrow row, squeeze the elbows in and keep your arms from lifting higher than your torso. Inhale to lower down with control. Push-ups x 15: On your knees, toes, or modified against a wall. Keep your hips down in line with your spine, and exhale, squeezing your chest, to rise. Triceps dips x 1 minute max: For a more challenging version, place a flat plate on your legs. To modify, bend your knees. As you complete your dip, make sure that your elbows stay pointing straight back, keep your chest lifted, and shoulders down. Cheerleader shoulder raises x 20 total: Holding a set of dumbbells, lift your arms straight out in front of you to shoulder height, then open them out to your sides and lower down. Lift your arms straight out to your sides at shoulder height, then bring them forward and up so you’re holding the dumbbells diagonally up in front of you. Lower to start and repeat. Full-range presses x 10: Stand with your legs hip-width apart, holding a dumbbell in each hand. Keeping your chest lifted, press the weights overhead, then squeeze your back muscles to lower back down. Bent-over triceps extensions x 1 minute max: our feet will be just under your hips with a slight bend at the knees. Hinge forward from your hips, keeping your back flat (shoulders pulled back) and core braced. Bring your elbows in by your sides and use your triceps to straighten your arm as much as possible before bending and lowering back down. Chest press to chest fly x 20 total: Start in a supine position with your shoulders pressing into the floor, a tight core and feet hip distance apart. Hold a dumbbell in each hand, elbows bent out to the side at 90 degrees, in line with your torso. Exhale as your squeeze your chest and push the weights up. Inhale as you open your arms out to your sides, then exhale as you squeeze your chest and bring your arms back together. Chest press pulse x 30 seconds: From a supine position, elbows bent out to the side at 90 degrees and in line with your torso, press up in little pulses. Can’t wait to try this one, looks great! On the cheerleader shoulder raise, are you rotating your arm your arm on the way down (palm up)? It kind of looks like that from the video but I can’t tell for sure. Thanks! 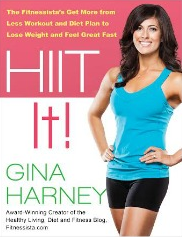 Gina…girl…I tried workout #1 & only made it thru circuit 1 before I had to stop… hahaha! I’ve been sore since. Loving these workouts!! Just did Workout #3. A great way to start the day! Love all these videos. Even I need a little extra motivation now and then. Done! #3 + #4 x2…thanks to you both ! 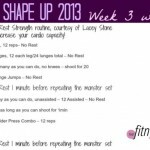 Winter Shape Up is just what I needed to keep me motivated through these cold January days. No “hmm, what workout should I do today?”, just look at the calendar and take the next challenge. I am exhausted but feel so good after finishing each day! Thanks so much for offering this each year, Gina! 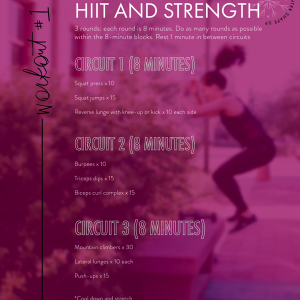 This workout was killer! I appreciated that it had a lot of upper body exercises that I don’t normally do, it was nice to switch it up. Thanks!